A U.S. Border Patrol agent takes an immigrant into custody in December 2018. 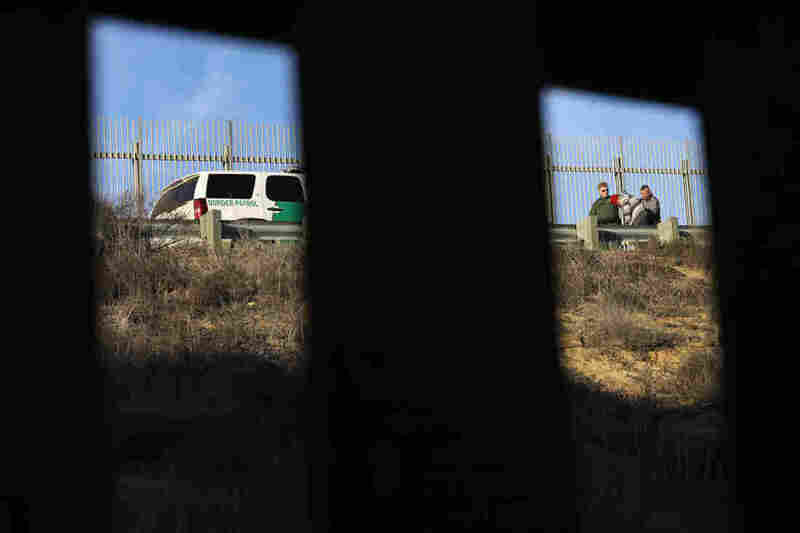 Numerous members of the migrant caravan crossed over from Tijuana to San Diego but were quickly taken into custody by U.S. Border Patrol agents. The report about the federal database comes after journalists have complained for several months that they’ve been singled out at border crossings, either for lengthy secondary screenings or, in one case, to be denied entry into Mexico. In response to the report from KNSD-TV, a Customs and Border Protection spokesperson declined to confirm or deny that the documents reflect U.S. government materials. One goal of the CBP’s response, the spokesperson said, is to “prevent future incidents” — an effort that includes federal agents conducting interviews and investigations. But KNSD’s source at Homeland Security says that by creating the database, the government is overstepping its legal constraints. As it revealed the database’s existence, KNSD-TV published images of the dossier on a computer screen, with labels such as “organizer,” “instigator,” and “journalist” attached to personal records. Each entry matches photos — apparently taken from passport records — to biographical data and information such as whether an alert has been placed on the person’s passport to flag them for secondary screenings. One of the journalists who appears in the dossiers is photojournalist Ariana Drehsler, who lives near the border in San Diego. After months of crossing the border into Tijuana to photograph asylum-seekers in Mexico, Drehsler suddenly became a subject of interest to border authorities in December, when she was repeatedly pulled aside into secondary screening for questioning. After learning she was listed in the government documents, Drehsler spoke to member station KQED’s reporter Julie Small. She acknowledged that the encounters led her to change her work habits, particularly after she was asked to leave some of her equipment in a separate room from where she was questioned. She added that the group is also asking Congress to use its oversight authority to investigate. Next articleWhat is the Difference Between Porcelain, Stoneware and Earthenware Ceramic?